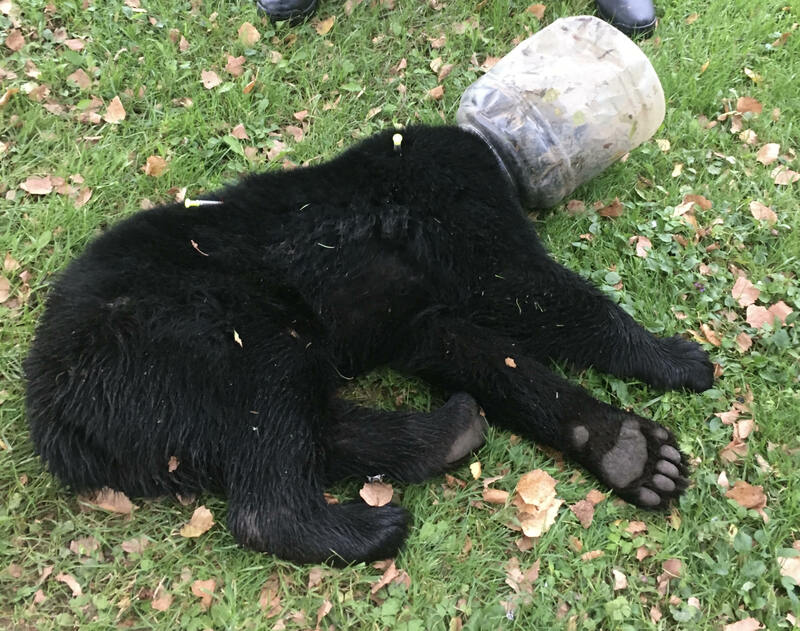 FORT McHENRY MARYLAND, (October 2018)(CNBNewsnet)--After a three day pursuit, the Maryland Department of Natural Resources Wildlife and Heritage Service, with assistance from the Maryland Natural Resources Police, successfully tranquilized a 100-pound male black bear cub to remove a plastic jar that was stuck around its head. The rescued cub, affectionately known as “Buckethead,” was freed near the Wisp Resort in McHenry during the annual Autumn Glory Festival. After the plastic prison was removed, the healthy cub returned to the woods to reunite with its sow.